A couple of friends from high school had been telling me about Crackers for a while. My friend Olga encouraged me to go every chance she got, then another friend started to tell me about their fried chicken and cherry pie. Finally, I decided I needed to give it a shot. Actually I gave it three shots. 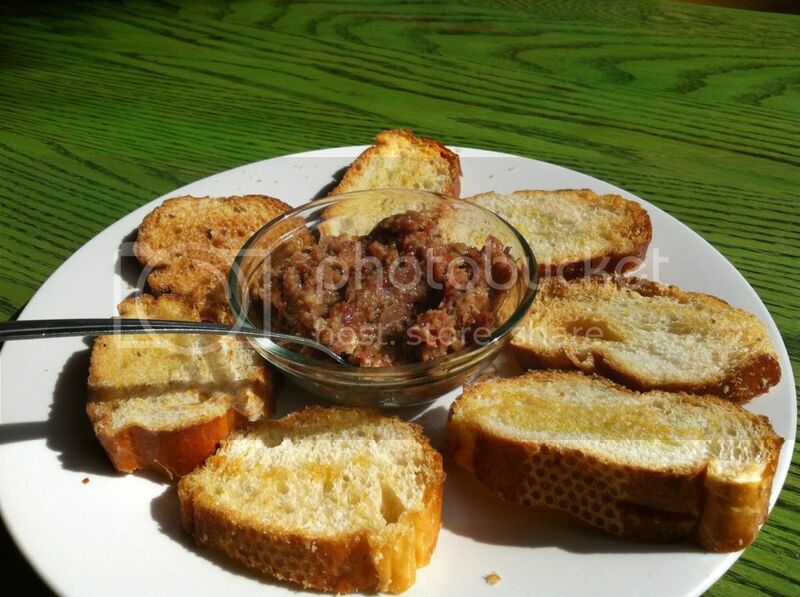 On my first visit, I went for lunch and started off with their homemade bacon jam that comes with garlic toasts. 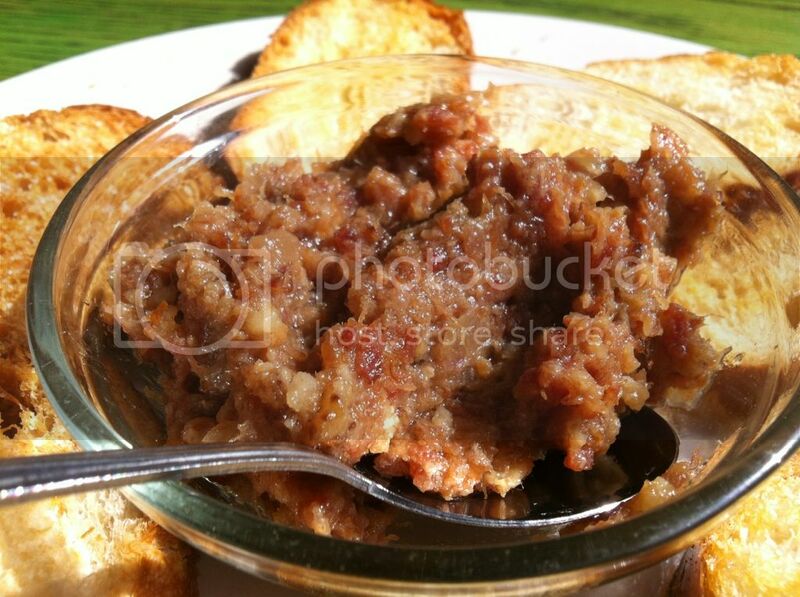 The bacon jam itself was sweet, but definitely “bacony.” The garlic toasts the menu stated they came with had no garlic whatsoever, but rather a drizzle of olive oil. Either way, I enjoyed the bacon jam a lot and ended up putting it in my mashed potatoes with my entree (don't be afraid kids, it's delicious). I told my friends about my disappointing trip and offered for all of us to go together so they can show me what the heck they were talking about. We all went for dinner and I was heavily coached on what to order. 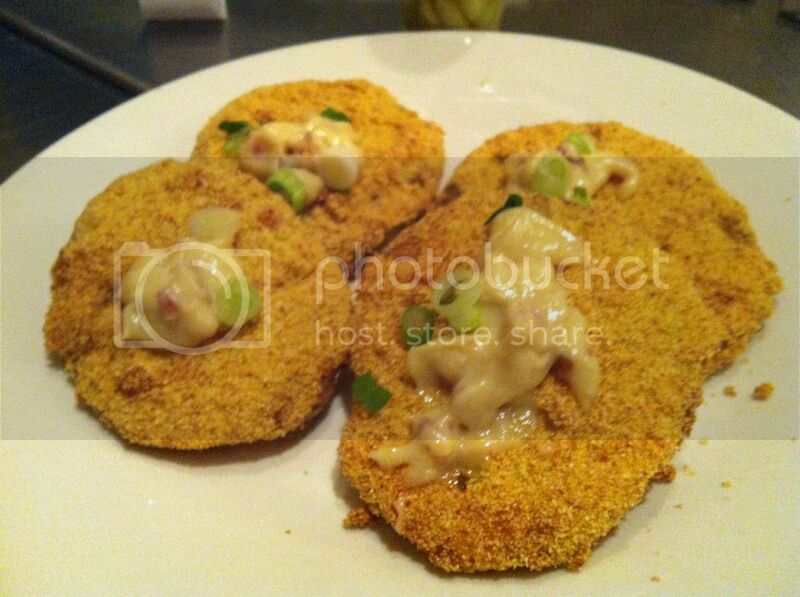 For starters we went with their Fried Green Tomatoes. Their tomatoes are covered in corn meal and flash fried, then topped off with a homemade bacon aioli. These were great and completely fresh. The cornmeal was crispy while the green tomatoes were still juicy and had a good bite to them. The bacon aioli gave them a nice smokey/salty kick, but my favorite was to add a little dab of hot sauce on them. 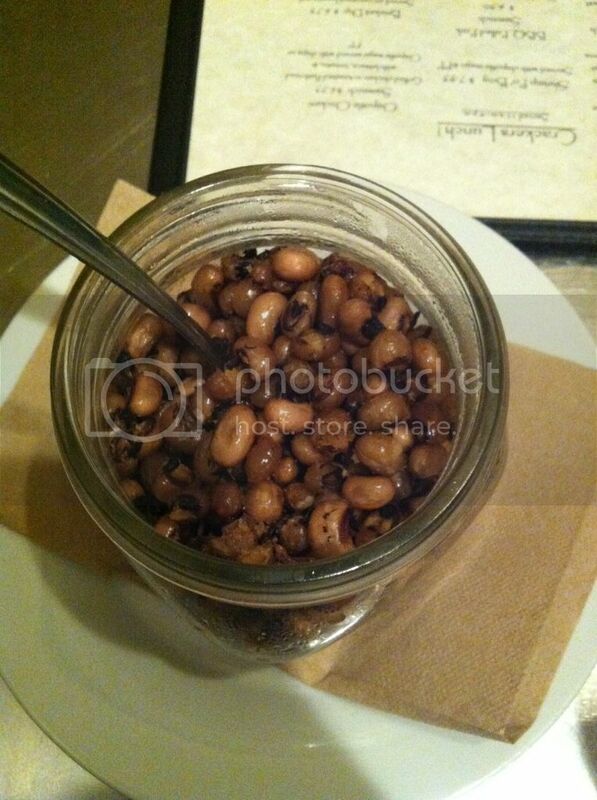 Up next we ordered their Fried Black Eyed Peas. 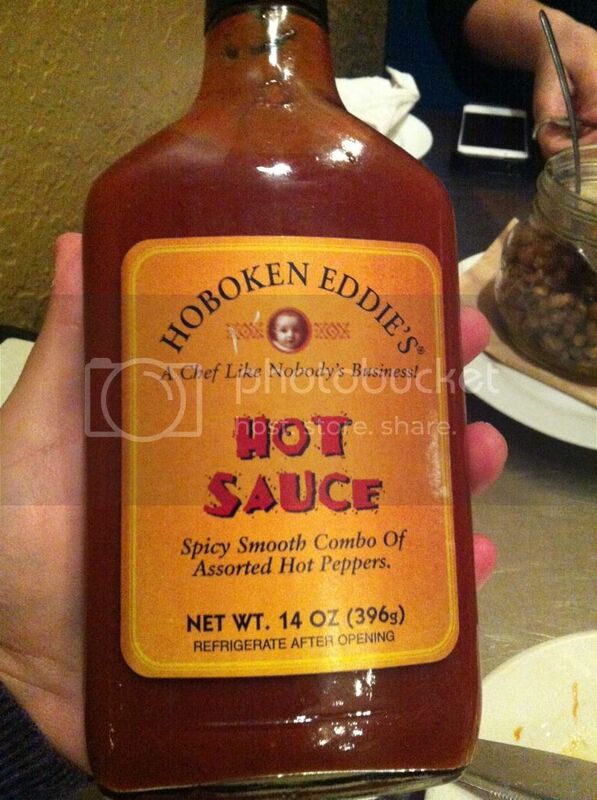 Throw some hot sauce on these and you had a jar of fried pea goodness. These were really addictive and perfectly seasoned. 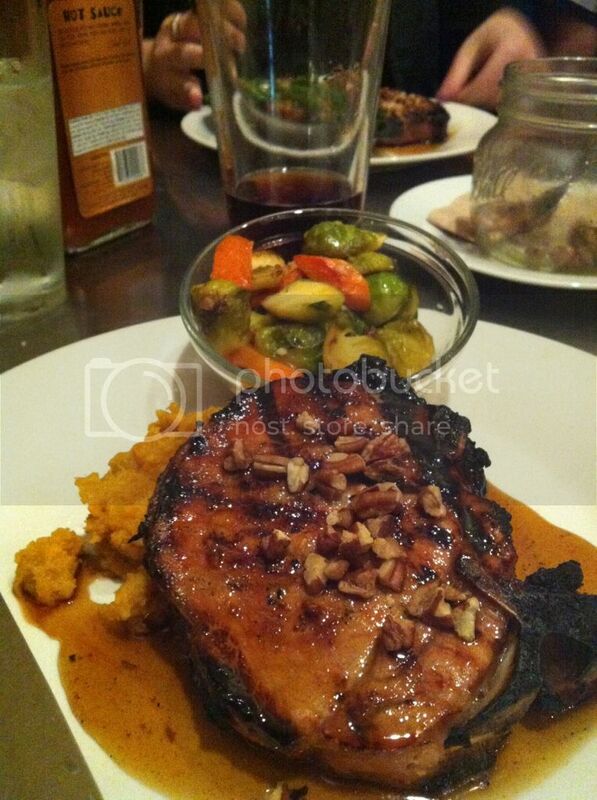 For dinner, I went with their pork chop that was topped with toasted pecans in a mustard infused maple syrup. 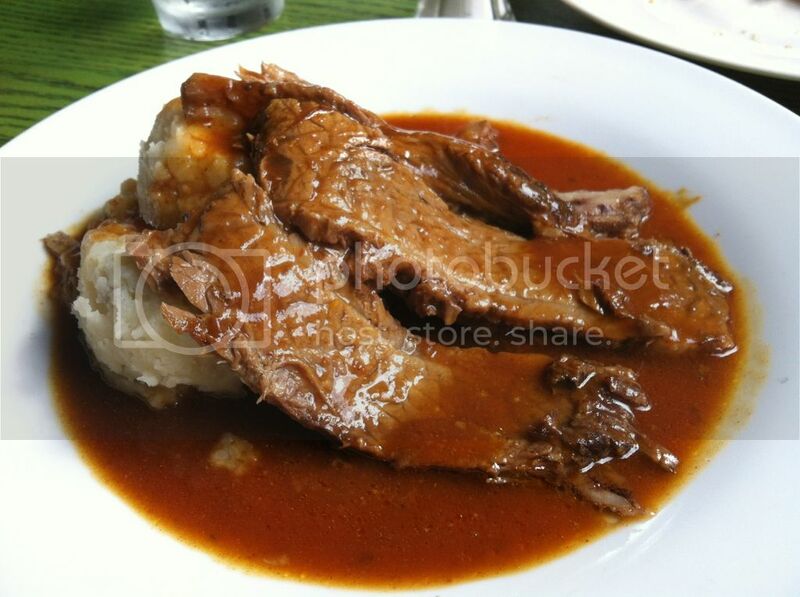 Along with the chop, it came with a sweet potato puree and your choice of an additional side. I made the mistake of going with their brussel sprouts and carrot medley. My pork chop was delicious, it was juicy, tender and the mustard maple syrup went perfectly with it. 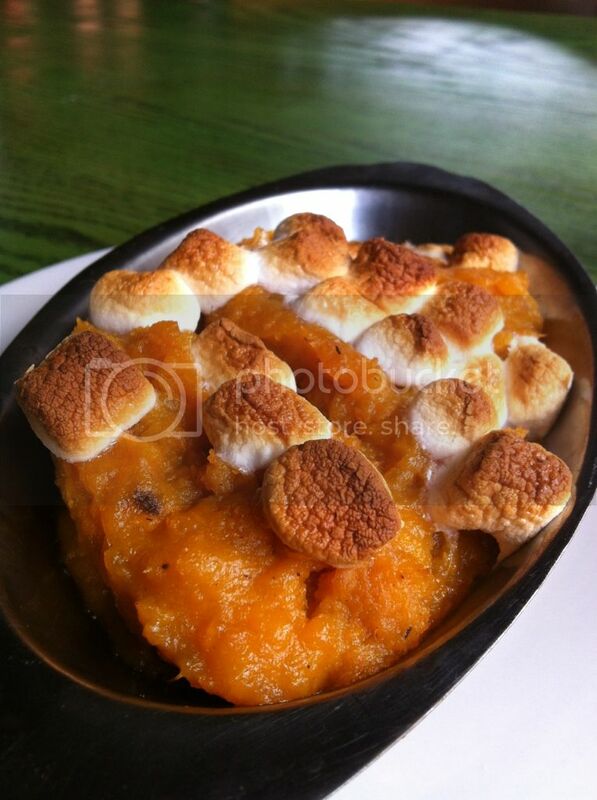 The sweet potato puree with the maple syrup tasted great as well. 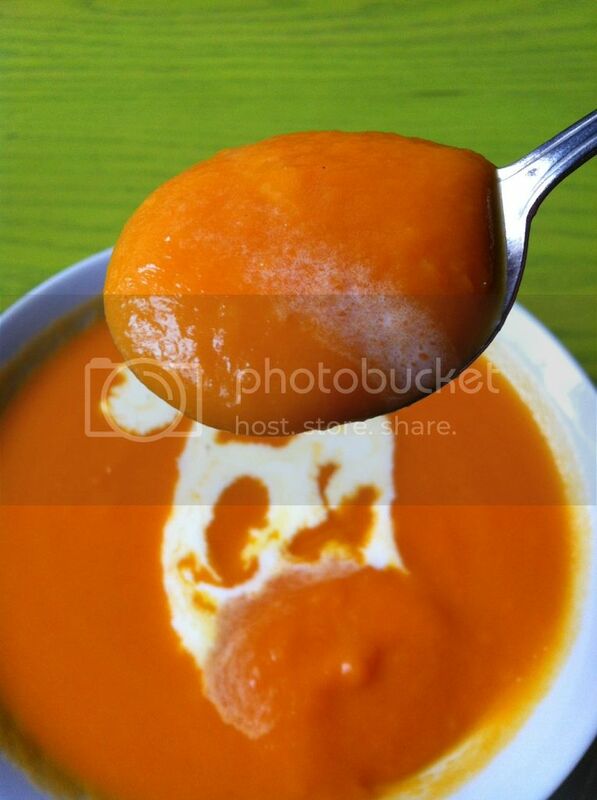 My only gripe was the lifeless brussel sprout and carrot medley, it had no flavor in it whatsoever. Even with the vegetable speed bump, this was a much better meal than my first. Obviously, we had dessert. I was told I wasn't allowed to leave without trying their FRIED Bread pudding. Just the thought of it makes my arteries clog. 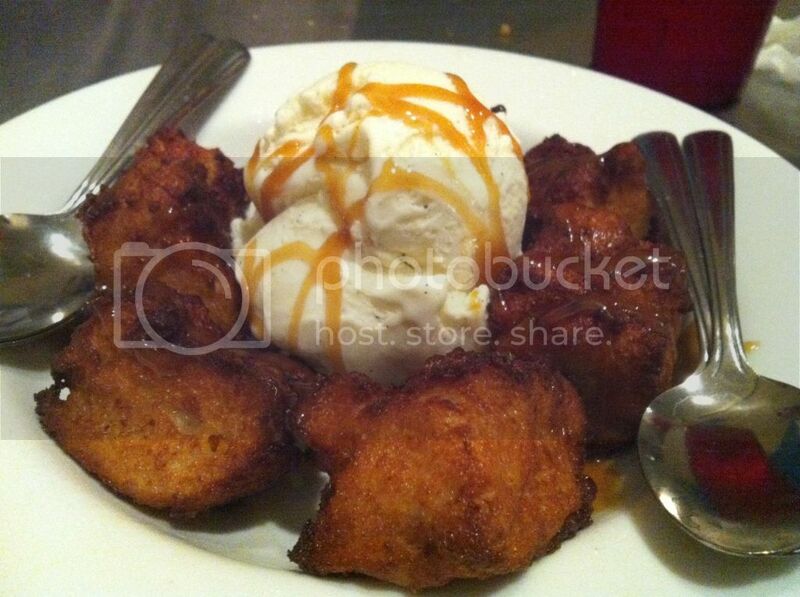 Between the ice cream, caramel and fried bread pudding, it was deliciously fattening and worth every calorie. 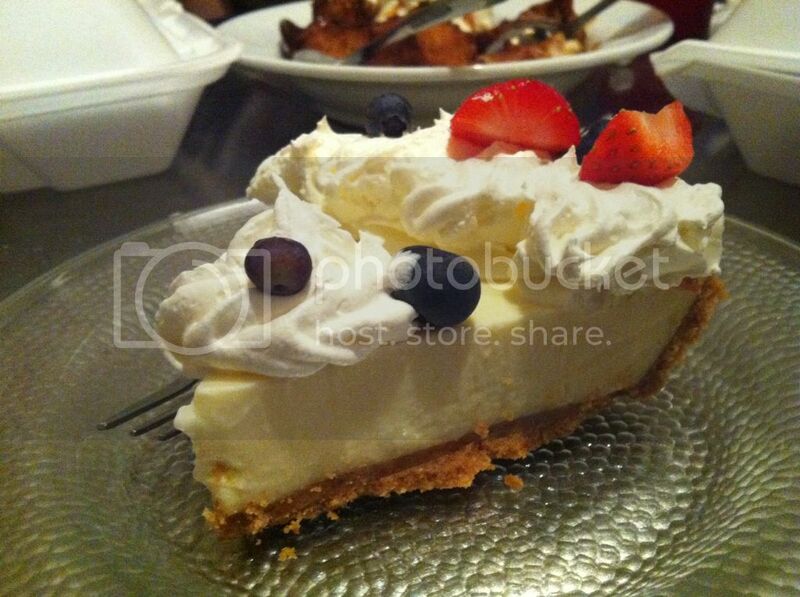 We also shared their homemade key lime pie, which I loved. It was refreshing and topped with fresh berries and whipped cream, but that graham cracker crust is what stole the show for me on this pie. Amazing. After one mediocre meal and one good meal, I was on the fence on Crackers. It wasn't until my last meal at Crackers that I became a believer. I decided to give Crackers one last chance and went for lunch. 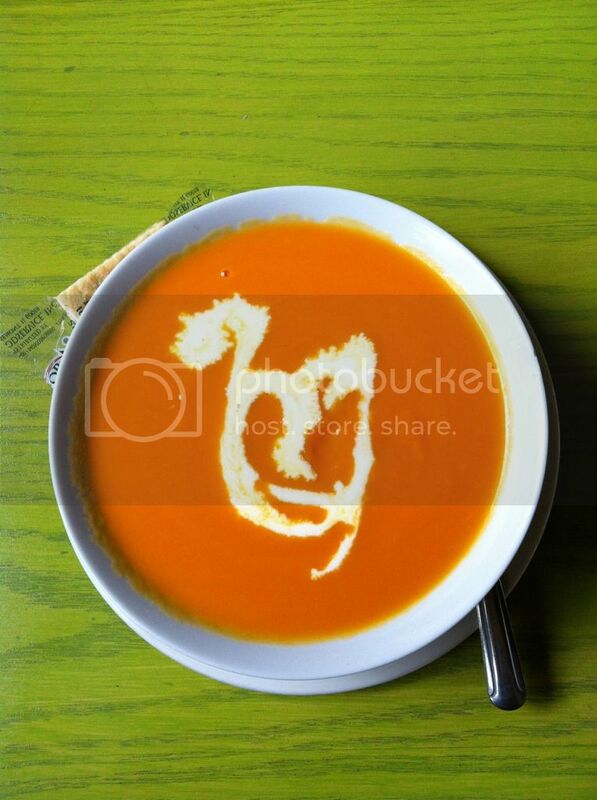 I started off with their Carrot & Ginger soup. Not only was it artistically plated, it tasted great; it was also very filling. 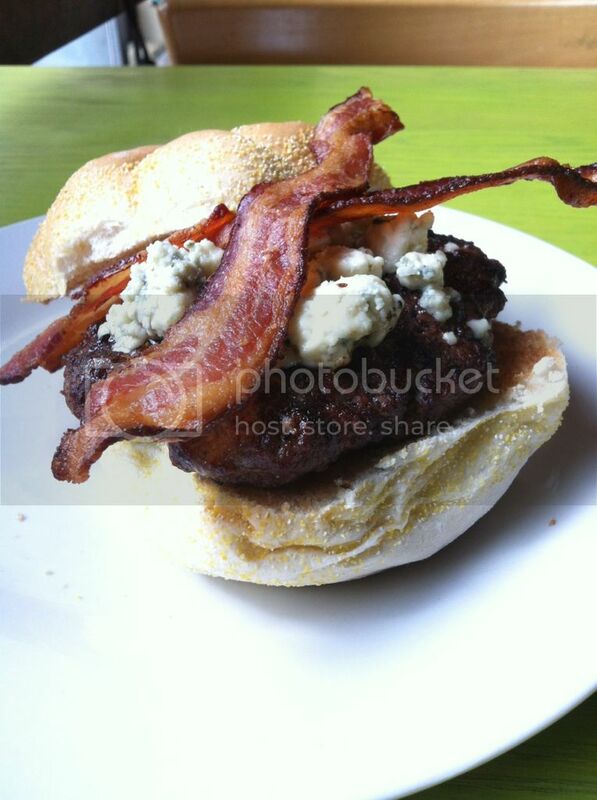 Up next I got their regular Half Pound Burger and added blue cheese and bacon to it. This homemade patty was juicy and tasted like the ones I used to have as a kid when my dad would barbeque. 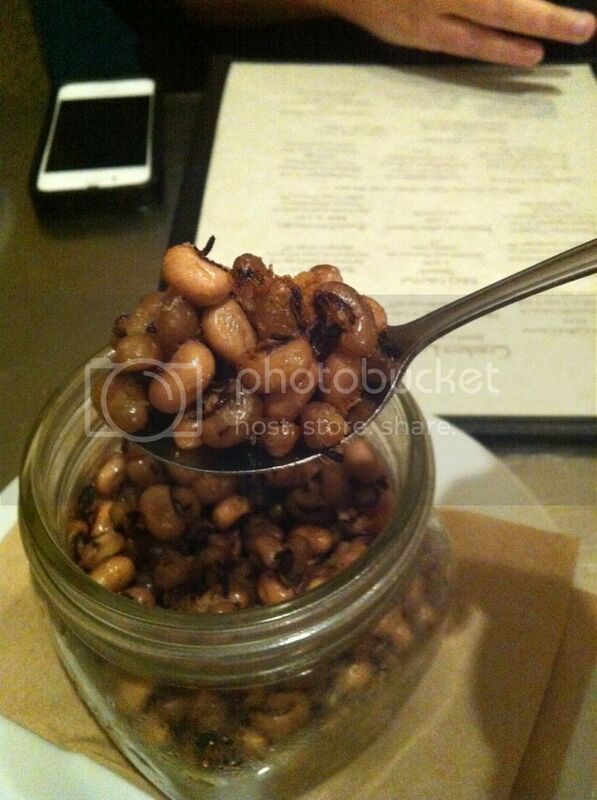 It was flavorful and nostalgic for me. It had that nice bit of smokiness from the grill that just added to the flavor of the whole burger. 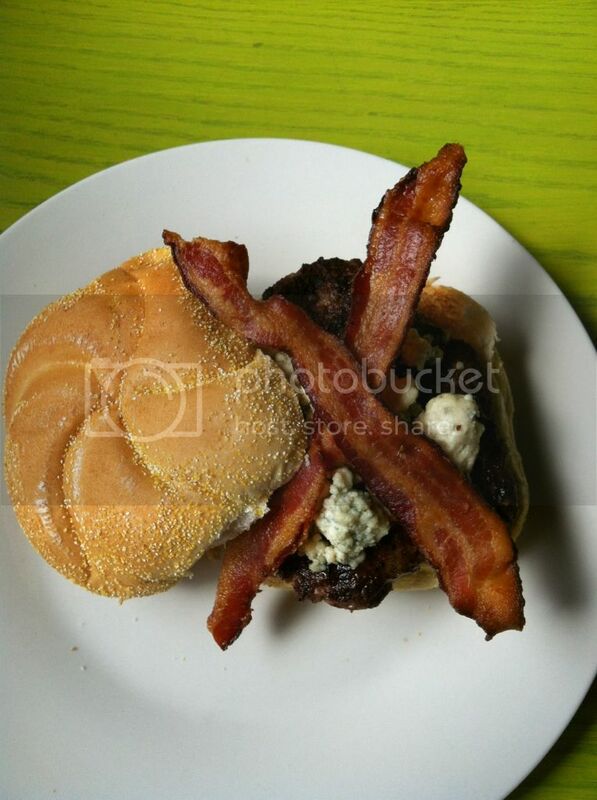 The bacon was perfectly crispy (my favorite) and the blue cheese was nicely melted. Although it would've been just a bit better with a toasted bun, the untoasted bun didn't take away from how good this burger was. I should mention they have several burgers on their menu, even one topped with their homemade bacon jam. With my burger, I had their Fatty Fries. 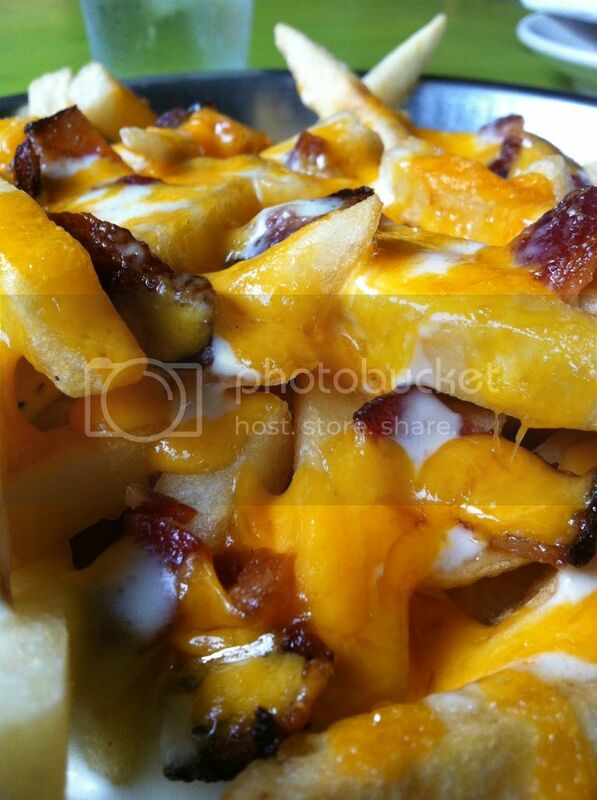 These "fatty fries" are french fries topped with freshly made gravy, cheese and bacon. Even though the fries are of the frozen variety, the gravy, cheese and bacon combo was delicious. 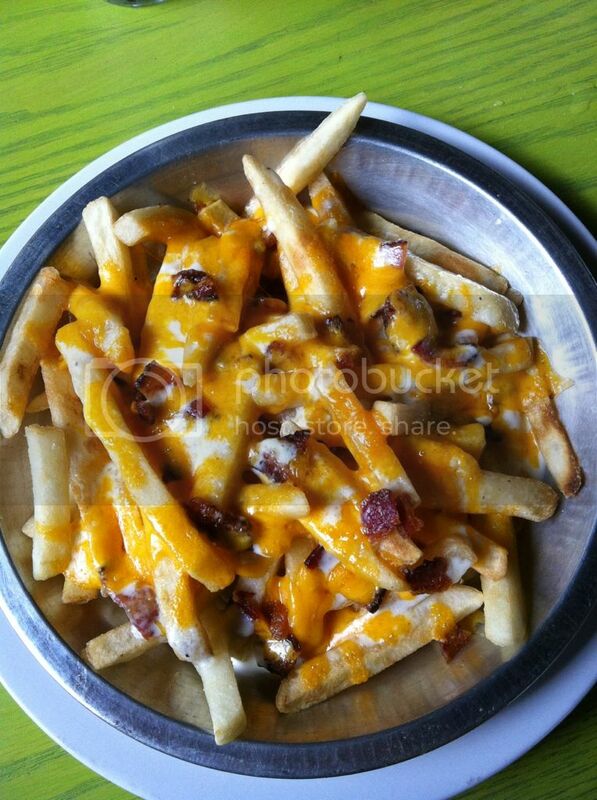 You couldn't just have one bite of these fries, they were like fried, cheesy crack and I was hooked. I'll definitely be getting these again. All in all, I very much enjoyed Crackers. There were definitely some speed bumps and I will most likely avoid getting any of their entrees when I go for lunch. I'll stick to their burgers during the day and dig into the whole menu for dinner. I especially love the fact that their decor gives the vibe that you're out on the bayou, when in reality you're across the street from a canal that separates Miami Springs and Hialeah. The service has always been attentive and courteous, so no complaints there. If you're looking for southern food from a mom and pop establishment, I definitely encourage you to check this place out!